If I had a robot, her first task of the day would be to bring me a cup of coffee just the way I like it. Her second would be to pick out my outfit to match my mood without even having to ask how I’m feeling, but I digress. Fortunately, this Instructables user has bigger and better ideas. 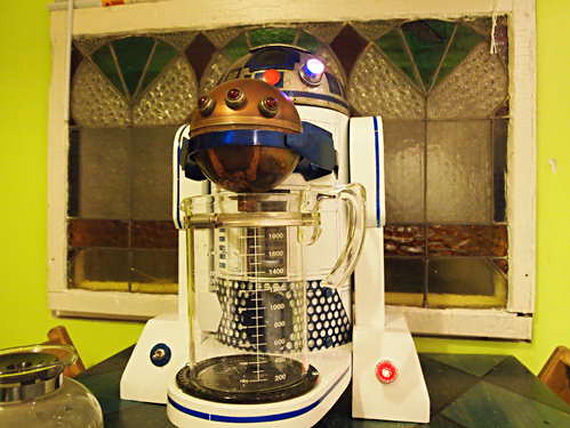 He turned an industrial BUNN coffee maker into a genius R2D2 version. Using a machine this size means the world’s most beloved droid can brew two coffee pots worth. In turn, you’ll stay supremely caffeinated in preparation for an all night Star Wars marathon in your preferred viewing order.